Greetings solar professionals, solar business owners and solar advocates (and most of you are all three)! I am very excited to be writing to you as OSEIA’s next executive director. I come to the solar industry as a long-time ally. The last 17-plus years of my work life have been spent as a consumer advocate with the Citizens’ Utility Board of Oregon, the state’s ratepayer advocacy organization. In that role, I’ve been very involved in promoting progressive energy policy – helping to create and defend the Energy Trust of Oregon that provides critical incentives and support to increase energy efficiency and renewable energy (including solar); working with OSEIA to create the state’s Renewable Energy Standard and the mandate for public construction projects to dedicate 1.5% of project budgets to including solar; to making sure that the state’s Residential Energy Tax Credit worked for customers to install right-sized solar arrays. While all of those policy victories have been important, I believe the solar industry ain’t seen nothin’ yet. Why do I say that? Well, we only have to look around at some serious trends. Fossil fuels, especially coal, is being seen as increasingly risky. Federal clean air regulations and the new Clean Power Plan are spurring utilities to find ways to reduce their greenhouse gas emissions. Public support for all kinds of renewable energy, especially solar, is through the roof in poll after poll. These kinds of dynamics suggest that we are in a time when the business case for solar (and the value proposition for consumers) is very good and will only get better. Solar is a lot like that. Thirty and forty years ago, when the founders of the industry were installing solar panels and solar hot water systems operating with not much more than trucks and ladders, solar was seen as a fringe phenomenon. It was new. But people are now starting to get it. Solar is poised to be a serious energy resource, even in a cloudy, rainy place like Oregon. OSEIA is your trade association. 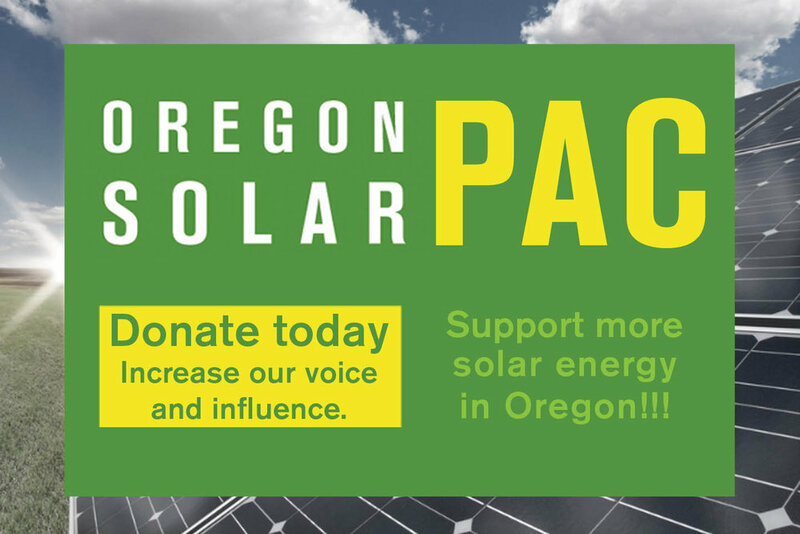 Our mission “is to make solar energy a significant energy source by expanding markets, strengthening the industry, and educating Oregonians about its benefits.” But OSEIA’s role is also to give you a platform to tell the world about how we can change the world through solar. As solar professionals, we should be proud of the future we’re working to build. Again, I’m damn glad to be here. I hope to meet many of you over the next few months. A great place to start will be OSEIA’s membership meeting on February 26. Register todayand let’s chat. One way or another, we’ll talk soon. Less Coal! More Renewable Energy!